(Bloomberg) -- When it comes to hotel brands, it’s become a dog-eat-dog world. Ever since Marriott International Inc. acquired Starwood to create the world’s biggest hotel company in 2016, consolidation has been the name of the game. And while no other company has come close to matching Marriott’s size, that’s not for lack of trying. 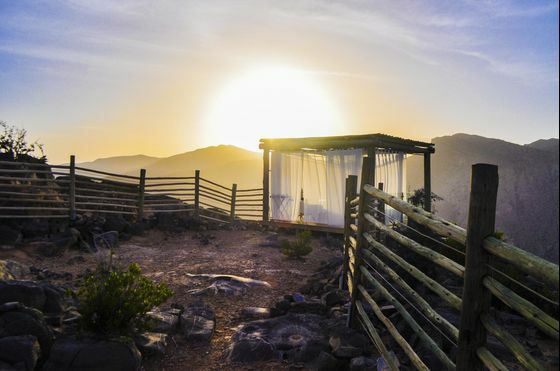 Intercontinental Hotels and Resorts (IHG), for instance, has scooped up big luxury names such as Regent and Six Senses. 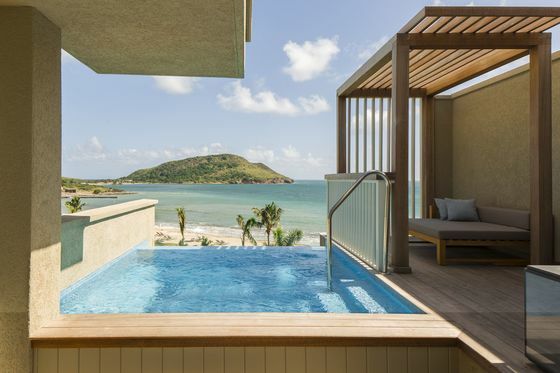 Hyatt Hotels Corp. has beefed up its portfolio, acquiring boutique hospitality ventures Thompson and Alila and partnering with Small Luxury Hotels of the World. And while it hasn’t exactly been on a buying spree, Hilton Worldwide Holdings Inc. has been busy spinning off new brands Motto, Signia, and Tru. What does all that add up to? Bigger, better loyalty programs whose members can redeem their points almost anywhere in the world. Now, by extension, more powerful credit cards with valuable, spending-based perks are aiming specifically at high-yield customers. Here’s everything you need to know about the shifting landscape of luxury hotel credit cards—and how to maximize your earnings, based on your traveler profile. If you’re less of a points hound and more interested in tangible perks or VIP status, you’re in luck. That’s exactly the kind of value being built into the top-tier hotel cards today. This comes at a cost—generally, a higher annual fee. 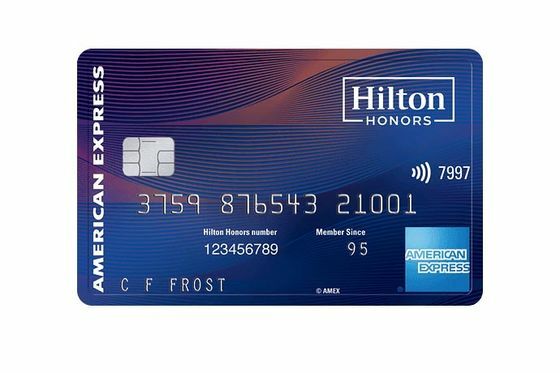 For the two standouts, Marriott’s Bonvoy Brilliant American Express and the Hilton Honors American Express Aspire, that’s $450 a year. 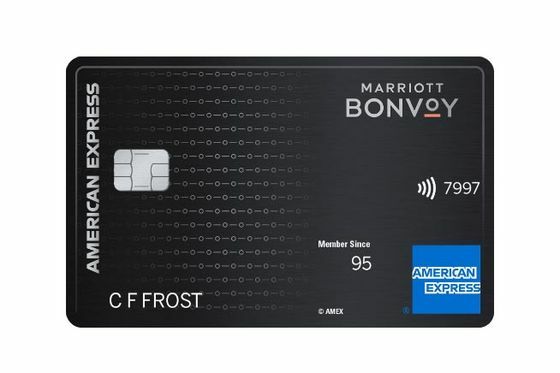 Released in January, the Bonvoy Brilliant costs the same amount annually as the Starwood Preferred Guest American Express Luxury Card and $55 more than the old Ritz-Carlton Rewards credit card from Chase, which it’s intended to replace. The benefits, however, pay for themselves. They include a 100,000-point sign-up bonus, up to $300 in statement credits for purchases at Marriott properties annually, another $100 for dining and spa purchases at Ritz-Carlton or St. Regis hotels, an anniversary free night at higher-category resorts, and complimentary Marriott Bonvoy Gold elite status instead of lower-range Silver status. If you spend $75,000 on the card per year, you’ll get bumped up to Platinum status, which buys you the possibility of suite upgrades and lounge access at some properties. Like other cards in this price range, it comes with a TSA PreCheck or Global Entry application fee credit every four years (worth up to $100), plus access to Priority Pass airport lounges around the world. And in addition to earning six points per dollar at Marriott hotels, it gets triple points on airline tickets and U.S. restaurants. (You’ll get two points per buck spent anywhere else.) While not incredibly high, these travel bonus categories and earning rates do mean cardholders can rack up a free night at a mid-tier property such as the Westin Hapuna Beach Resort in Hawaii (35,000 points) with a few months’ spending. 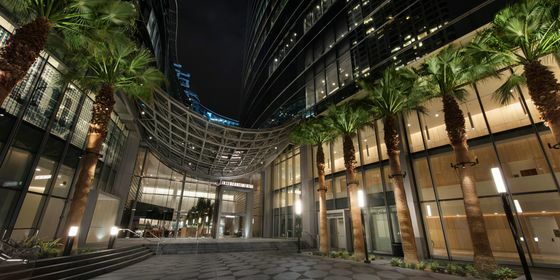 The Hilton Honors American Express Aspire, which debuted in January 2018, has a similar approach to lure luxury travelers. 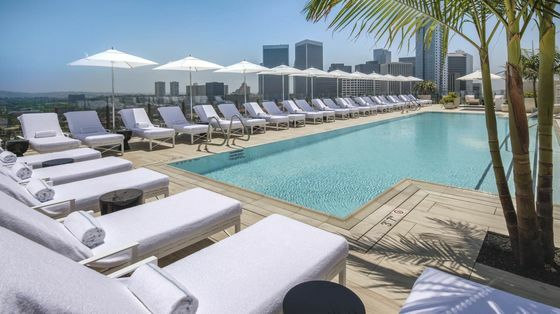 With a sign-up bonus that has occasionally been as high as 150,000 points (guaranteed if you spend $4,000 in the first three months), it’s making a play both to win back longtime Hilton Honors members who might be bored with the chain and appeal to younger, affluent frequent travelers who need big numbers and big benefits to commit to a single brand. For the same $450 fee, cardholders get top-tier Hilton Diamond status, including free room upgrades and complimentary breakfasts, a free weekend night each year upon renewal, $250 in resort credits across all Hilton properties, an additional $100 toward purchases at Waldorf Astoria and Conrad hotels, an annual $250 airline fee credit, and Priority Pass airport lounge access. All together, Aspire’s benefits are comparable to, if not slightly better than, Bonvoy Brilliant’s—the only catch being that Hilton rewards tend to require more points to redeem. If earning potential is more important to you than tangible perks, you might prefer a mid-tier card. With better points multipliers, they can compensate for the fact that many hotel loyalty programs have recently devalued their awards charts. “We continue to see that wellness is a growing focus for business and leisure travelers, which is why we created a specific bonus category for spend on fitness clubs and gym memberships,” explained a Chase spokesperson. The card also throws in a complimentary night at a mid-range hotel each year, plus a new opportunity to earn an additional free night once you’ve spent more than $15,000 on annual purchases. 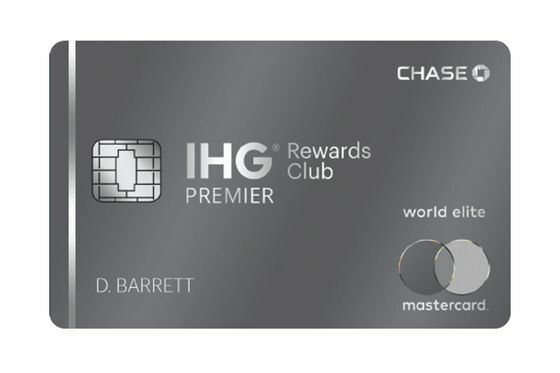 Compare that to the IHG Rewards Club Premier Credit Card released nearly a year ago. Its fee almost doubled to $89 but now includes TSA PreCheck or Global Entry application fee credits (worth up to $100) while offering 10 points per dollar spent at IHG hotels—that’s double the old multiplier—and two points per dollar on such everyday categories as restaurants, grocery stores, and gas stations. 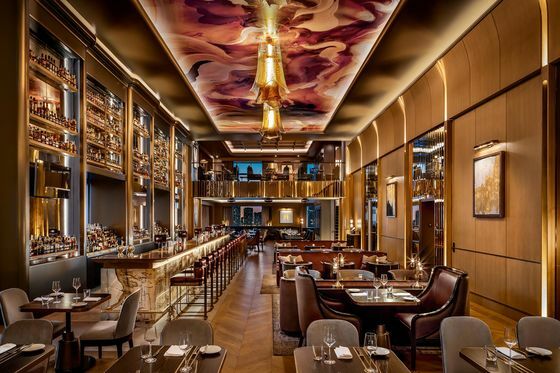 This earning scheme, along with sign-up bonuses that regularly hit 120,000 points, means you can easily earn free nights at a luxury property such as the InterContinental Paris le Grand by spending just a few thousand dollars strategically. 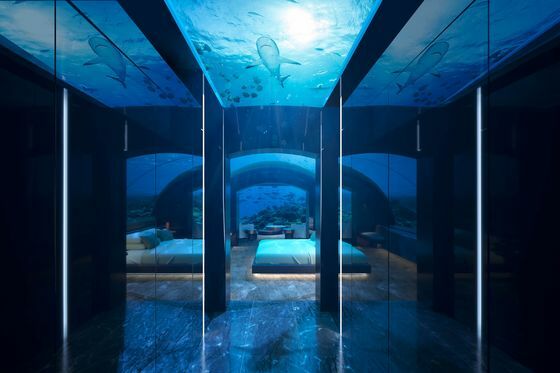 If you’re thinking about a premium card, make your choice based on where you actually want to stay, be it the $600-a-night Conrad Maldives Rangali Island, with its extravagant new underwater suite, or a 40th floor suite at the brand-new Times Square Edition. 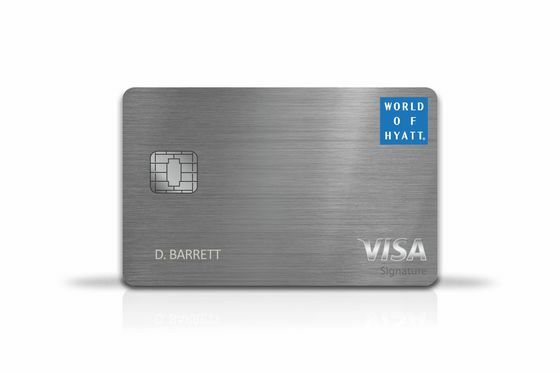 After all, the annual fee is worth it only if you see these cards as replacements for a more general travel product, such as the Chase Sapphire Reserve—viable only if you’re ready to commit to their associated loyalty programs. Not ready for that kind of relationship? The expanded bonus earnings associated with the mid-tier cards is worth the small investment, and the elite benefits they confer can be pretty sweet icing on the cake.